The question of status for the Irish language in the EU hasn't gone away. Some people may think that the issue was clarified when a weak-willed motion was passed in Leinster House a few months ago with the government's support but their commitment cannot be relied upon. The government were clearly not willing from Day One of the Irish Presidency to request of the Council of European Ministers that Irish be included along with the languages of the other new member states for official status. Having reluctantly bowed to pressure from cultural, political and language organisations as well as the people of Ireland, the worry remains that they may not make the request during the Irish Presidency. That would be totally unacceptable and, indeed, incomprehensible. 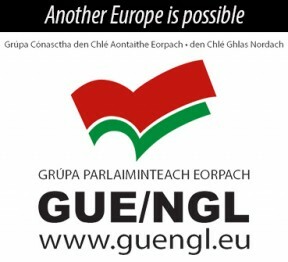 The very effective lobby group, Stádas — based out of Conradh na Gaeilge -- has kept up the pressure to ensure Irish is recognised in the EU along with other languages and is asking those who support the campaign to come along to show your support for this campaign next Saturday, 24 April, in Dublin at 2 pm. Leaders of all political parties have been invited to address the march and rally. Over 800,000 signatures have already been collected on the website by those who believe Irish has a right — along with Estonian, Maltese, Slovene, etc — to be included as an official EU language. See www.PetitionOnline.com if you wish to add your name to this figure. The person who actually started the website as his contribution to the campaign is a Finnish man who took it upon himself to learn Irish! Panu Petteri Hoglund will hand over the signatures to the Taoiseach at the weekend. It is very important that this opportunity is not lost — there are only about six weeks left before the Presidency rotates to another state. The march begins at the Garden of Remembrance, Parnell Square, at 2pm, continuing up O'Connell Street to Molesworth Street opposite Dáil Éireann.